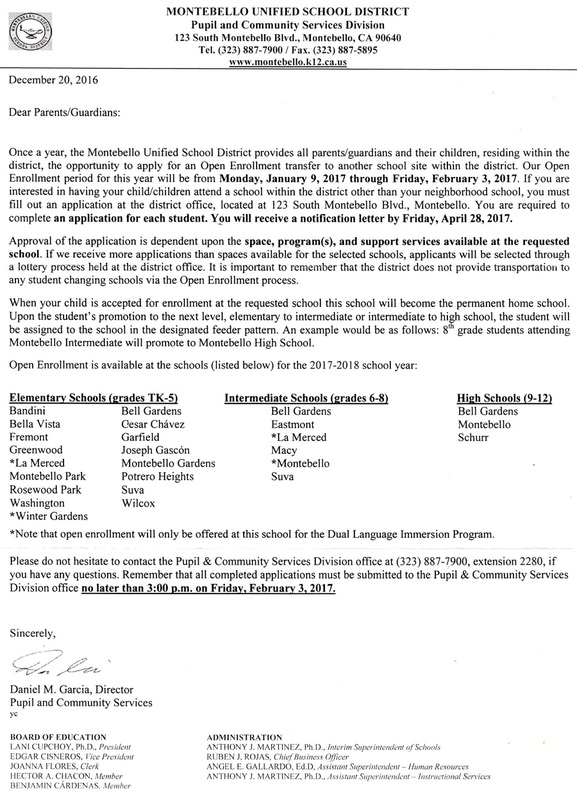 The following letter, announcing Open Enrollment, was delivered to MUSD families this past week. What it means is that from now through 2/3/2017, parents can request that their child(ren) attend a different school within Montebello Unified School District for the 2017-2018 school year. Parents can request a change of schools anytime throughout the school year, but making the request during Open Enrollment requires the least amount of paper & legwork from parents. If you are interested in making the change for your children stop by MUSD offices, at 123 S. Montebello Blvd., and complete the form.